Developments in technologies e.g. connectivity, digital services, augmented/virtual reality (AR/VR), big data and artificial intelligence (AI), are revolutionizing the way consumers interact and the way enterprises compete. New services such as mobile payments and eCommerce have the potential to transform the payments and retail industry, reducing (eventually removing) cash and re-purposing the traditional retail space. User generated content has the power to increase brand engagement and give e-commerce conversion rates an uplift of as much as 161%1. Mobile ordering and reward applications enable a channel for restaurants to connect with tech-savvy millennials, which is their largest target customer segment. Across of ASEAN, it is certain that technology is growing in importance as it transforms industries and contributes to greater digital economic efficiency. Digital solutions and services contribute up to 10% of GDP among ASEAN economies. While embracing the digital economy is important for local governments, equally important is enabling enterprises to address the evolving needs of the consumer. Realizing this, local governments are further spurring growth through strengthening the key enablers of economic growth such as digitalization, national Information and Communication Technologies (ICT) infrastructure, industry 4.0 and innovation. Understanding and removing bottlenecks as well as seeking out smart solutions have become key focus areas. For example, in Singapore, the Internet of Things (IoT), 5G, sensor networks and the Nationwide Broadband Network will be enhanced to enable enterprises to leverage on high-speed networks and real-time communications. High-accuracy location positioning technologies is another area the local government seeks to enhance given Singapore’s high population density which will require robust solutions extending indoors. Similarly, Malaysia’s Industry4WRD national policy is positioning Malaysia as strategic partner regionally for smart manufacturing work and Malaysia’s Industry Digitalisation Transformation Fund worth RM 3 billion seeks to accelerate the adoption of smart technology that will drive automation, robotics and AI in the industry. Not surprisingly, the majority of these transformative technologies and activities under these government-driven initiatives happen indoors e.g. at homes, offices, transportation hub, shopping centres, even manufacturing plants. As of today, over 80% of network traffic originates from indoors, and this number is set to increase to 96%2 with the onset of 5G. As a result, the indoor experience will become increasingly important going forward. Despite this, the indoor experience across of ASEAN varies tremendously even though the region’s top two joint requirements for indoor solutions are to improve user experience and enable new business models. The inability of Distributed Antenna System (DAS) as the current indoor architecture to facilitate the much higher data rates needed to satisfy demand and maximum efficiency required presents a bottleneck, especially for local government agendas. This is where Digital Indoor System (DIS) will play a vital role as key infrastructure that both industry and local government need to achieve their objectives. With DAS, pairing with Location-Based Services (LBS) is not easy and has always been on a best effort basis. DIS, on the other hand, facilitates effective pairing of LBS with indoor big data and in some cases even AI. In retail, this pairing can achieve precision marketing services, which can dramatically increase retail sales by using real-time data about consumers to increase sales conversion rates. Supplementing with VR demos can potentially increase retail sales performance further. The addition of facial recognition capabilities can help global brands to study retail activity data within retail outlets. In healthcare, where the availability of DAS is lacking due to historical reasons, DIS can transform hospitals into smart hospitals initially offering heat maps and then real time monitoring, which can lead to peace of mind as a future comfort. The keyword in all this is the generation of relevant data that can make a difference in people’s lives. 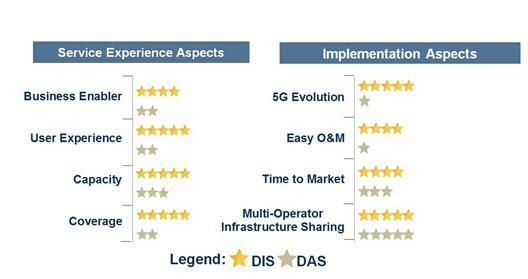 Data driven marketing and data centric innovation are key industry trends where mobile network operators (MNOs) are uniquely positioned regionally as custodian of DIS data that can enable a diversity of smart solutions and services to address varying and evolving needs, particularly in regional highly dense areas e.g. within stadiums, airports and transportation hubs. Spearheading this shift by MNOs are regional DIS deployments on the Shatin to Central Link (SCL) of Hong Kong’s Mass Transit by HKT and in airports with high passenger flow in Indonesia, Singapore and Philippines. Airport DIS implementations the region emulate Turkey’s new airport in Istanbul, which is the largest airport in the world with a DIS deployment. Noteworthy is Malaysia Airports Holdings Bhd (MAHB) that is working on its Airports 4.0 digital initiative to make Malaysia’s airports smart and in doing so stay competitive for airline business. Within these deployments, DIS helps MNOs manage the scalability of capacity needed on short notice to ensure all relevant data is captured. For governments, DIS with its higher spectrum efficiency as compared to DAS and ability to operate at 5G frequency bands can help to drive the digital economy more intelligently and efficiently. 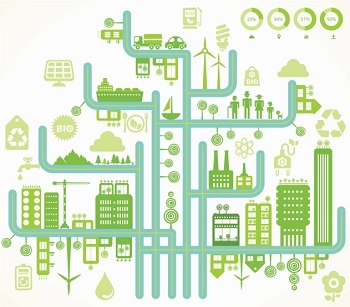 Local governments need to plan for indoor solutions as essential for national ICT roadmaps. For example, within Singapore’s strategy to build digital capabilities for government and enterprises as part of the Committee on the Future Economy identified in 2017, Malaysia’s fiberization and connectivity plan (NFCP) as well as part of the roadmaps towards implementation of 5G. With 5G, use of MIMO within DIS will start to make sense but swapping architecture at that point will be counterintuitive. Therefore, inclusion of DIS in planning towards 5G will ensure success of local government agendas, particularly if specific KPIs and technical standards e.g. coverage levels, speed and availability, are set fit for purpose. In November 2018, Malaysia had seen the first implementation of multi-operator, multi-technology DIS at Stesen Sentral Kuala Lumpur with all four major MNOs on board. Before this, a handful of dedicated DIS had already been implemented. Seeing the benefits of the deployment, Malaysia’s MCMC chairman is encouraging the expansion of DIS to hospitals and Malaysian government offices. This launch comes after DIS has already achieved approximately 80% penetration for new indoor system deployments in China and the Philippines MNOs have prioritized DIS as the standard for building digital indoor architecture infrastructure. To be on par regionally, Malaysia’s MTFSB needs to consider DIS as a critical component of guidelines for 5G oriented indoor architecture evolution. With the rise of smart cities across the region, DIS enablement can be considered as part of construction standards to ensure the solid foundation to realizing true intelligent buildings and reaping the benefits of it. It is essential that regulators drive incorporation of standards and policy that support adoption of DIS into national level plans. Specifically in Malaysia, government agencies need to consider amending the Uniform Building By-Laws 1984 (UBBL) to ensure readiness of digital indoor architecture infrastructure in new buildings. A similar enabling policy is already in place in Singapore under the code of practice for info-communication facilities in buildings “COPIF”. Regulators also need to work towards reducing DIS deployment difficulties e.g. with site access and infrastructure sharing, ensure compatibility of DIS by verticals by country and help enterprises to cultivate more digital business through understanding and removing bottlenecks. Furthermore, as indoor sites are no longer solely owned by MNOs but increasingly owned by neutral parties and tower companies, regulators need to bring guidelines and regulations up to speed industry collaboration to take advantage of the opportunities that can bring to deserving consumers. 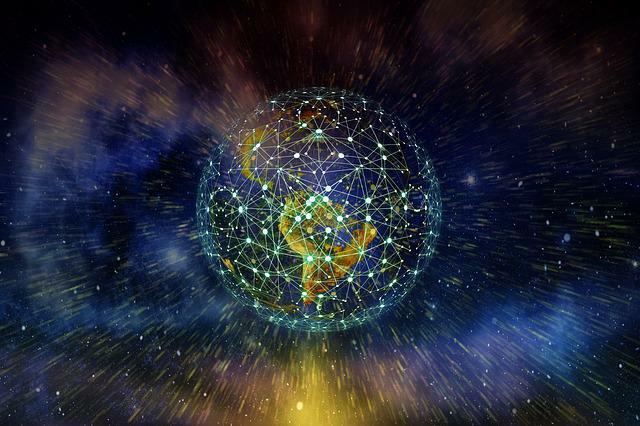 For MNOs, the incentive to consider DIS is driven by their need to maintain profitability and even more so with the upcoming 5G technology requiring more sites. 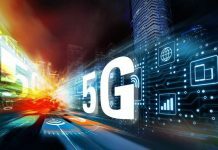 MNOs in the region have announced 5G trials but it will be awhile before 5G reaches mass market as the planning has to start from now. Longer term investment horizons for indoor sites and site acquisition/management difficulties will drive adoption of DIS, especially through infrastructure sharing. 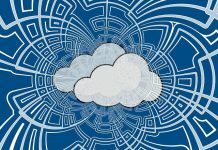 DIS that offers a smart and efficient solution over DAS can create new opportunities for monetization while reducing total cost of ownership (TCO). Industry case studies have shown that MNOs can look forward to reducing ROI to less than four years with DIS. 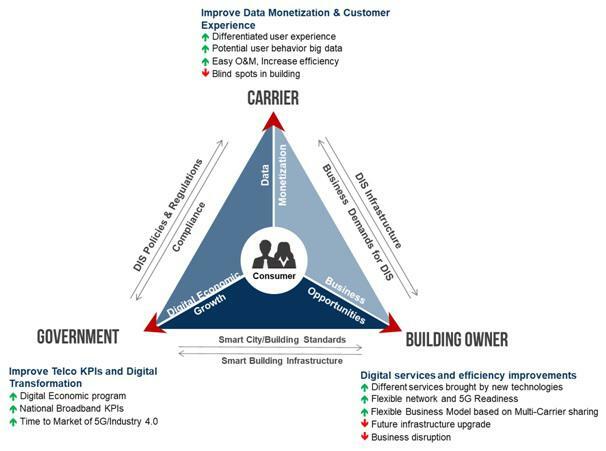 For Building owners, DIS can enable monetization of new digital services and operational efficiency improvements. In today’s context, broadband is considered a utility service and buildings a hotspot for services concentration. Recent surveys show a high correlation between lack of reliable internet connectivity and rental decision, lease terms and pricing. Within this context, joint investment in DIS or rent free space like rooftop can be seen as a small price to pay to ensure future monetization of digital services and rental income. Improved indoor customer experience is always a plus both for consumer retail and enterprise segment spaces. In conclusion, DIS looks set to play a vital role as key infrastructure for now and into the future. Through enabling the direct linkages and contribution to the digital economy, local government and regulators will be able to achieve significant improvement to people’s lives. Through new opportunities for monetization, MNOs will be able to stay innovative, relevant and 5G ready. 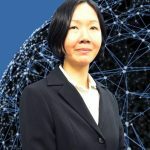 Quah Mei Lee is an Industry Principal Analyst with the Frost & Sullivan ICT practice. She leads Mobile & Wireless Research for Asia-Pacific and focuses on telecoms and payments strategy. Supported by her expert team, she drives thought leadership in telecoms and payments strategy and mobile digital services research.